After a month at home with family and friends and no school, it can be difficult to get back into the swing of things once classes start again. I know I’ve been having a hard time adjusting, and my classes don’t even start until tomorrow! 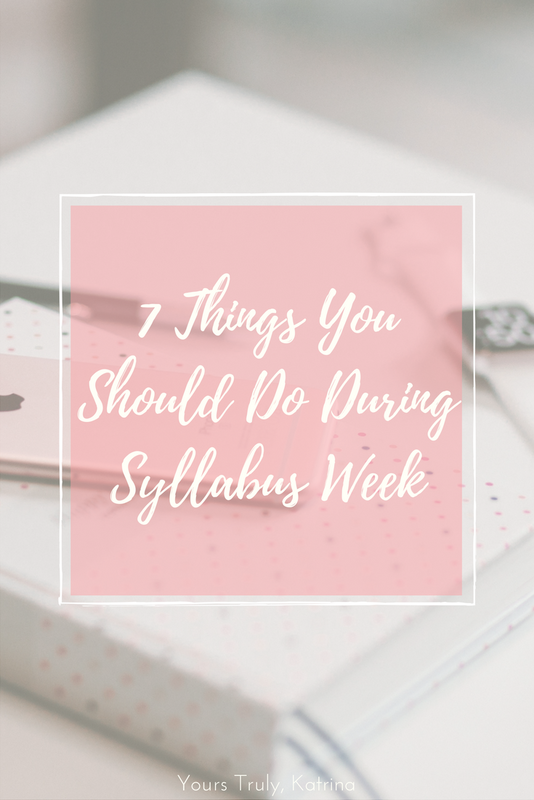 In an attempt to combat this “holiday hangover”, I’ve made a list of 7 things that you can do the first week of the semester in order to get back into the groove (otherwise known as syllabus week). 1. Review all syllabi and put all assignments in your planner (and calendar)! They don’t call it syllabus week for no reason! I’m super into planning my whole life (to the point where it might be considered a fault) (but I digress). Therefore, the first thing that I prioritize every semester is ensuring that all of my assignments, exams, and due dates are in my planner. In other words, basically every single date included in my syllabus automatically goes into my planner & calendar. 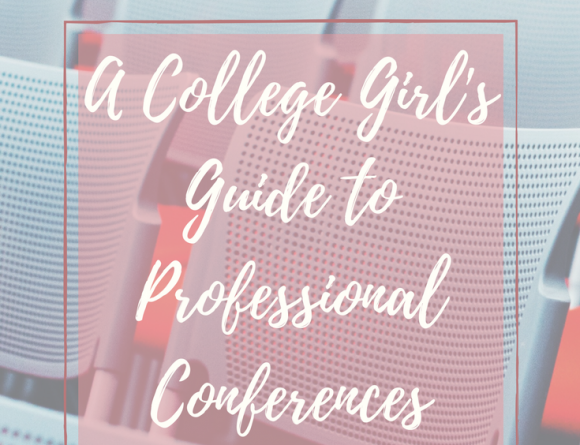 Kayla from Kayla Blogs has a really great article on how to use your syllabus properly, if you need any help picking and choosing what goes into your planner! Instead of ordering my textbooks before classes start, I like to wait until after the first couple of classes to order all of my books. I try to save as much money as possible on textbooks by talking to my classmates/professors to see if pdfs of the book exist or if the book is even necessary at all! I highly recommend doing this – my first semester I spent so much money on useless books, and then I can’t even tell you how much I saved the next spring by using this little tip! 3. Sort your life out. Okay, maybe you can’t sort your whole life out, but I am a big fan of putting together a more rigorous schedule for the semester. After a week of understanding what the class load is like and how much time exists between classes, I plan on putting together a “daily routine” in order to ensure optimal productivity. I definitely feel more motivated to work out and do homework when I set aside a time frame to complete my tasks, so I think this will work, but we will see how it goes!! 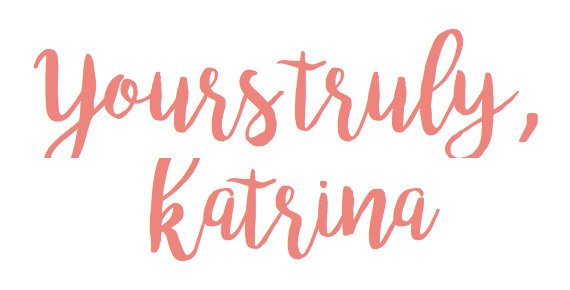 I normally find myself rushing to catch up to all of the work during the semester, but I tried to get ahead on my homework and assignments this past fall and it made a world of a difference! Getting a head start frees up more time for yourself, and it’s honestly the most satisfying feeling knowing that the work is done. They say that your desk is a great representation of your mind, and I think the same goes for your backpack! Ensuring that your backpack and desk are clean will help you approach your new semester with a clear mind and improve productivity tremendously. 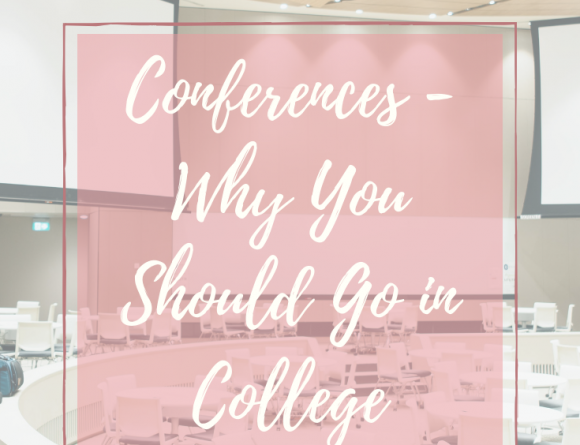 Once the semester starts, it’s easy to get caught up in a whirlwind of work and put your relationships with your friends on the back burner. Make it a priority to grab coffee or go to the dining hall with your friends and catch up on lost time – you might not have the time to do it later! What were your goals for this semester – to plan out your meals, read more, or go to office hours? This is the most perfect time to start. 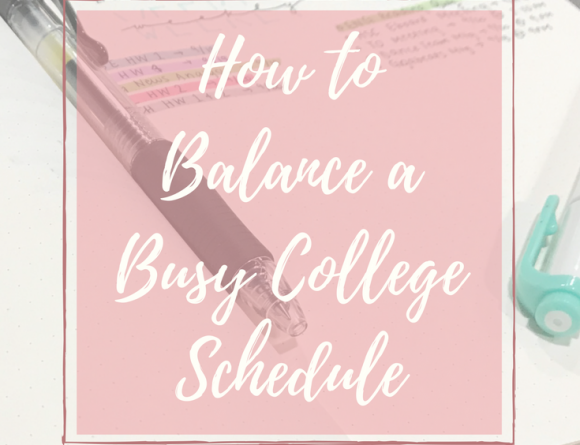 The beginning of a new semester is essentially the January 1st of college life – set your goals in motion and work to get them accomplished by the end of the semester! What do you like to do during syllabus week? Are you ready for a new semester? Let me know in the comments below!